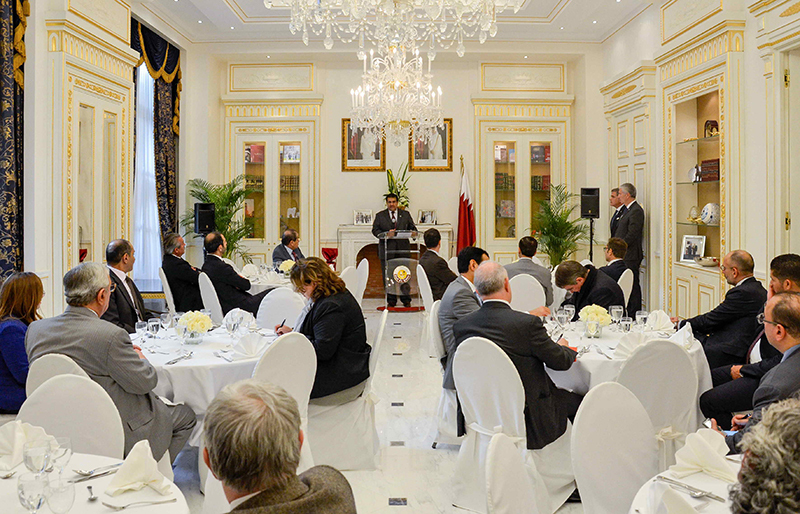 The Qatari Businessmen Association (QBA) has held meetings in Paris during the past two days with representatives of the French economy from the public and private sectors, including health, pharmaceuticals, food, industries, laboratory industries, shipping, transport, logistics and other areas required by the Qatari economy. 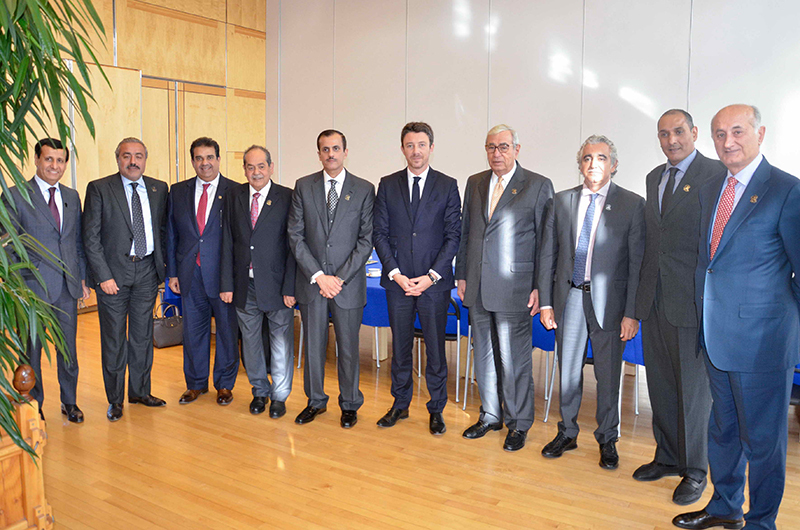 The meetings were led by Mr. Hussein Al-Fardan, First Deputy to the Chairman, HE Dr. Sheikh Khalid bin Thani Al-Thani, Second Deputy to the Chairman, Mr. Issa Abu Issa, Secretary General, and Board Members Sheikh Hamad bin Faisal Al-Thani, Sheikh Nawaf bin Nasser Al-Thani, and Mr. Sherida Al-Kaabi, and from QBA Members Mr. Saud Al-Manea, Mr. Salah Al-Jaidah and Ms. Sarah Abdullah, Deputy General Manager of the QBA. Mr. Benjamin GRIVEAUX, Minister of State, attached to the Minister of Economy and Finance, praised the strong relations between Paris and Doha, pointing out that the French government has introduced new measures aimed at attracting financial service industries in many countries around the world to locate in Paris as the largest financial hub in Europe. These measures include, according to the Minister, tax incentives by abolishing the increase of fees on financial transactions in 2018, reducing corporate tax from 33% to 22%, fixing capital gains tax at 30% and lowering income tax on higher wage brackets. "Today's actions are an important gesture for investors," Benjamin GRIVEAUX, Minister of State, attached to the Minister of Economy and Finance "Bruno Le Maire" said. He also invited Qatari businessmen to invest in his country. He added that France graduates 38,000 engineers annually and has about 9 researchers per 1000 workers. His country focuses on the new economic fields by investing about 5% of the French budget in research and studies. During his opening remarks, Mr. Hussein Al-Fardan, QBA Second Deputy to the Chairman, stressed the importance of the visit to Paris and the meeting with Mr. Benjamin GRIVEAUX, as an innovative platform for future economic partnerships. 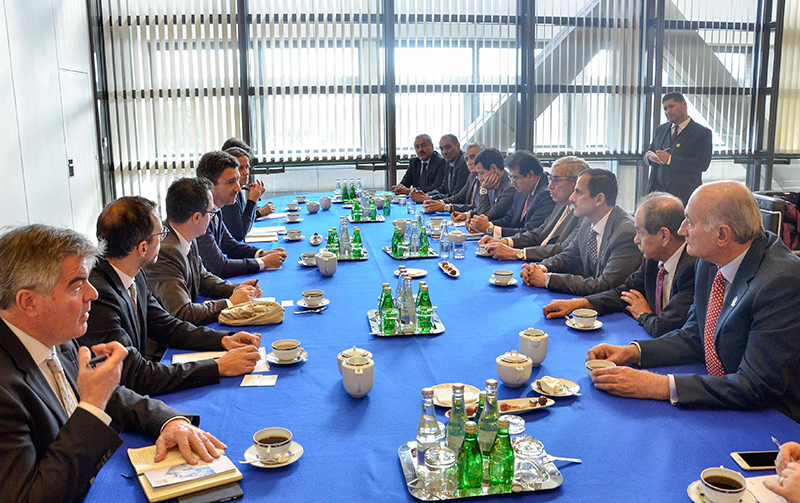 He added that the meeting complements the strategies of both sides to diversify their economies and develop their capabilities in new industries. The Qatari delegation is comprised of diverse economic groups looking for effective partnerships that benefit the economies of both countries. He also stated that The Qatari economy continues to diversify under the National Development Strategy 2017 - 2022 and the Qatar National Vision 2030. He then stressed that Doha is attracting foreign investors and has encouraged hundreds of business delegations to visit Doha in the past few months. 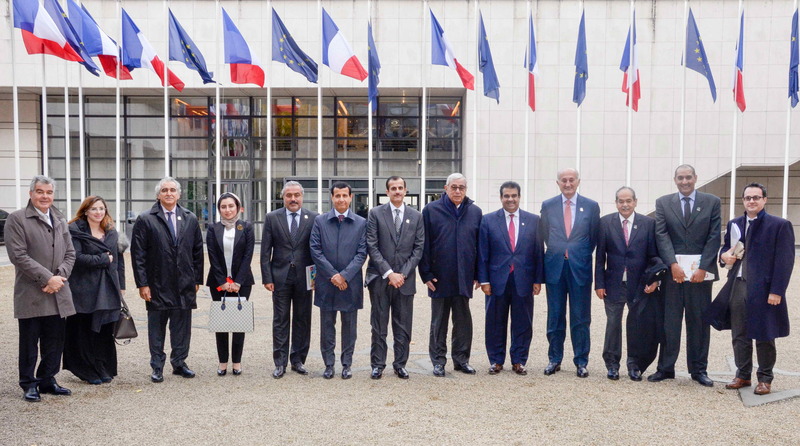 HE Sheikh Khalid bin Thani Al-Thani pointed out that cooperation between the French and Qatari private sectors will benefit the economies of the two countries. He explained that the exchange of experiences and the promotion of cooperation and joint coordination in new and innovative sectors will help both sides move forward with their strategic development plans. He noted the broad prospects of cooperation in the areas of smart cities, science, medical care, health technology, industry, blockchain and other fields of innovative technology. 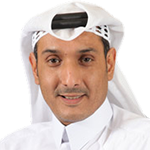 Sheikh Khalid bin Thani said that Qatar is interested in small and medium enterprises (SMEs) in France to use Qatar’s Free Zones as their base for local and regional markets. He also praised the recent decision of His Highness the Emir Sheikh Tamim bin Hamad Al-Thani to offer multiple incentives to the foreign investors in the Free Zones. Sheikh Hamad bin Faisal Al-Thani said that Qatar is ready to welcome French companies as a regional hub for Arab and Asian markets. He pointed out that the Free Zones and the measures taken by His Highness the Emir for the benefit of the foreign investors will speed up and facilitate investments by French companies. He said that Qatar's geographic location, with the largest port in the region and a global logistics fleet will facilitate access to neighboring markets, especially Iraq, Yemen and other Asian countries. Sheikh Hamad bin Faisal also said that the Qatari business community and the Qatari Businessmen Association will work to find effective partnerships to further develop the distinguished relations between Qatar and France and elevate them to the next level. The first session started with a discussion about investment in France, with the French side presenting France’s investment environment, with France being the premier European country for SMEs, and the second largest European economy and sixth largest economy in the world, and third largest in terms of attracting foreign investment. Mr. Michel Gilbard, Director of the Enterprise and Strategic Projects Department at the French Ministry of Economy, said that Qatar is the first Arab and Gulf investor in Paris, attracting €1.75 billion in 2016. Qatar's investments include retail, tourism, sports, industry and other private sector investments. 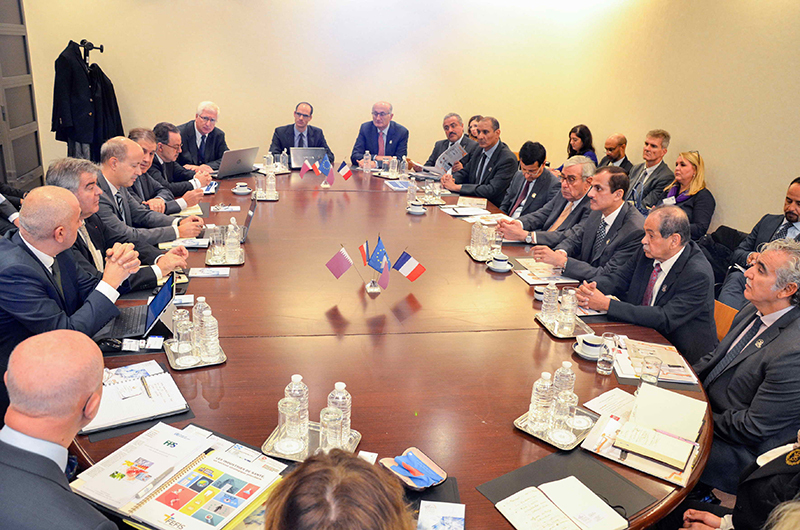 The French Ministry of Economy also pointed out the sectors on which it will focus in the French economy's future, inviting Qatari companies to invest in them, such as aircraft, health, food, renewable energy, automotive, technology and chemical industries. The second session was devoted to the cooperation between Qatari businessmen and their French counterparts in the fields of health, offering excellent medical facilities with different medical specialties to meet the needs of patients in Qatar and the region. The French have great experience in the fields of research, with state-of-the-art technologies, providing multi-disciplinary medical care services and using high quality techniques to treat obesity, diabetes, heart disease, vascular surgery, tumors, pregnancy, obstetrics, gynecology, obstetrics, ophthalmology, sports medicine, health care assessment and other innovative medical services. French companies offer a wide range of activities through “LEEM”, which brings together specialists in the fields of pharmacy, and they confirmed the depth of their partnerships with hospitals and medical centers in Qatar. Also French companies discussed investments in factories in Doha, especially after the value-added incentives provided by Qatari law for industrial investments. The French companies highlighted in their presentations the latest innovations and technical expertise that will meet the growing demands of the rapidly growing local market. Among the specialties highlighted were the manufacture of medical equipment, advanced medical devices, advanced techniques in disinfection, sterilization and disposal of medical waste, diagnosis, radiology, disposable medical instruments, implants, various prostheses, treatment of diseases related to aging and plastic surgery. Orange Medical Services, AOS, Dussie, Biogran, Acapium and Group Innovative Player also introduced their latest medical innovations and are in advanced negotiations with many private and public institutions in Qatar. The specialists in these companies indicated that the Qatari medical market is a promising one with the potential for $1 billion worth of investment. 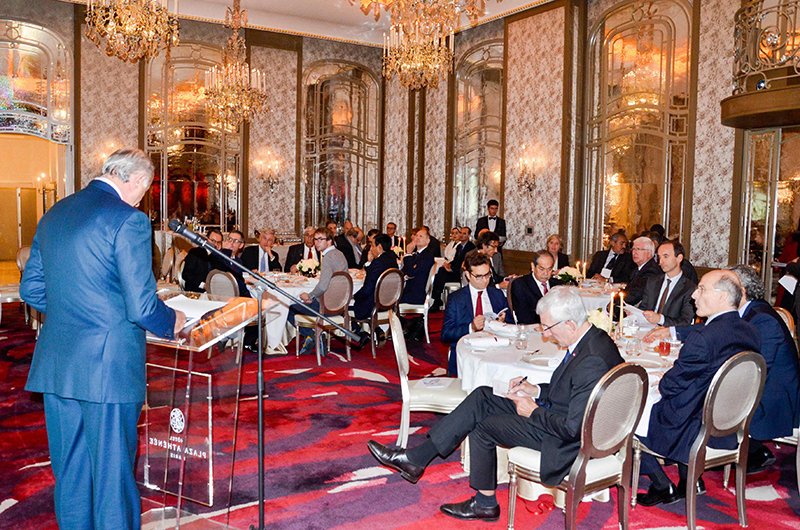 The Qatari Businessmen Association delegation met on the sidelines of a dinner organized by the Association for the Benefit of French Businessmen, with Mr. Guillaume Pepy, Chairman of the French Qatari Committee in MEDEF, confirming the organization's support for Qatar. He added that the organization will intensify visits between the two countries’ businessmen to promote value-added industries in Qatar. Mr. Issa Abdul Salam Abu Issa, QBA Secretary-General, gave a presentation on the State of Qatar during the blockade. He pointed out that the financial situation of Qatar is stable, that Qatar has maintained high international credit ratings, and that the Qatari economy will be stronger after the crisis due to the continuation of the policy of economic openness and opportunities attracting foreign investors. He also noted that Qatar has huge financial resources and reserves of more than $300 billion, and that Qatar Central Bank played a vital role in maintaining the stability of Qatar’s financial sector during the first months of the crisis. He said that Qatar has maintained private sector growth at 4.6%, which is better than the countries implementing the blockade, and noted Qatar has announced increasing exports of liquefied gas to 100 million tons per annum. 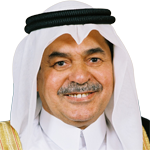 Mr. Issa Abdul Salam Abu Issa said that under the leadership of His Highness the Emir Sheikh Tamim bin Hamad Al-Thani, Qatar focuses through its National Development Strategy 2017 – 2022 on a number of strategic sectors including industry, financial services, research, tourism, and logistics. 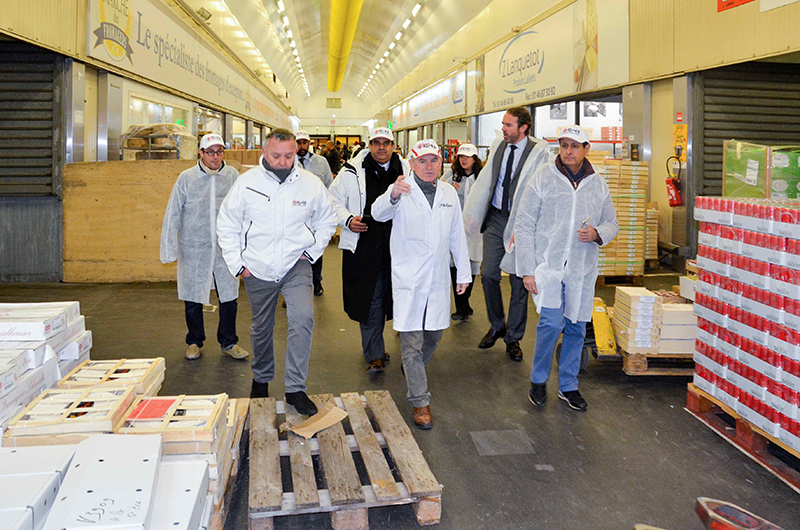 In the presence of HE Ambassador Khalid Al Mansouri, the Qatari Businessmen Association delegation visited the international market Rungis, which is located on the outskirts of the capital Paris. The delegation was briefed on how the world's largest market for fresh produce operates, how the refrigerants operate in preparation for distribution in the domestic market, and the approved mechanisms for export. 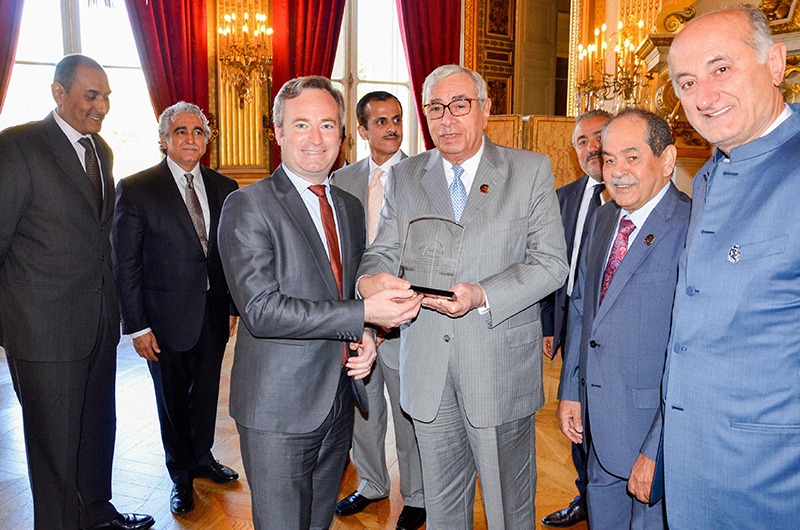 Through this visit, the Qatari Businessmen Association seek to benefit from French expertise in this field. Minister of State, attached to the Minister for Europe and Foreign Affairs, Jean-Baptiste LEMOYNE welcomed the delegation of the Qatari Businessmen Association and said in a press statement that the French government is happy with the Qatari investments in France, adding that Paris Saint-Germain is a positive image for Qatari investments abroad. 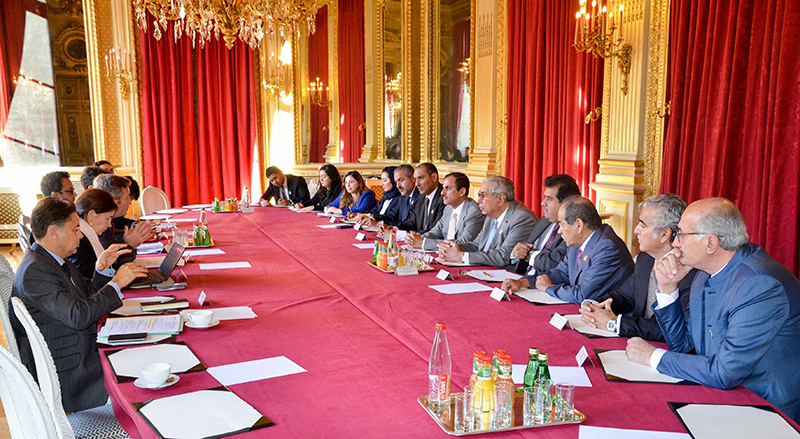 He added that Qatar is a strong partner of France in the region, and Paris is the right place for Qatari investments. He also highlighted that his country especially welcomes investment in small and medium-sized French enterprises and that the French government has introduced a law encouraging this type of investment, indicating that the Qatari investor is prestigious and welcomed in France. 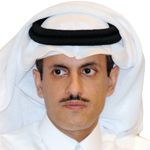 Sheikh Nawaf bin Nasser Al-Thani, Chairman of the French Qatari Business Council, said that French institutions have demonstrated their superiority in a number of fields, making them prominent in the Qatari market in many sectors such as aerospace, navigation, water treatment, construction, education and others. He assured that France will remain a focal point for Qatari businessmen, noting that the French financial sector is an ideal model and the French hold leadership positions in the World Bank and other leading financial and banking institutions in the world. Mr. Sherida Al-Kaabi said that France is one of the leading countries in the world and has a great influence on the international arena because of its eminent position in political, economic, commercial, industrial, tourism and investment fields. Doha today is the leading financial center in the region. Through this important location, Qatar looks forward to continuing its promotional activities with French companies and attracting them to Doha. 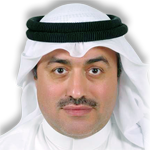 Mr. Saud Al-Mana said that the volume of trade between Doha and Paris is about 2 billion euros, indicating that Qatari exports to France are on the rise as a result of the increase of France's gas imports. He pointed out that France is the third international investor in Qatar and that the Qatari investor is looking for French partners to invest in Doha and Paris. 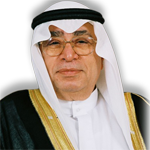 Mr. Salah Al-Jaidah called for the opening of French factories in Doha to meet the needs of the local market as well as neighboring markets such as Iraq, Yemen and others. "We want to move from the consumption stage to the stage of developing production and manufacturing platforms," he said. The Qatari Businessmen Association invited Minister Jean-Baptiste LEMOYNE to visit Doha to learn more about investment opportunities and Qatari enterprises. The Minister of State for European Affairs also promised to visit Qatar soon in preparation for the visit of President Emmanuel Macron in December. The Qatari Businessmen Association delegation visited the Bolloré Logistics platform, one of the top 10 companies in the world for transport and logistics. The Paris Roissy station, which was inaugurated last year, is characterized by the latest technologies to deal with all types of shipping. The businessmen considered this station as a model and that it is important to know the latest technologies used in the field of air transport logistics from the French side.